She is definitely the best instructor I had, she is friendly, calm and polite. Shabnam explains everything to you to help you learn but most importantly she helps you to feel confident when you are driving. I´d been taking lessons on and off for over a year but when I started taking lessons with Shabnam, she helps you to feel more focused and determined. 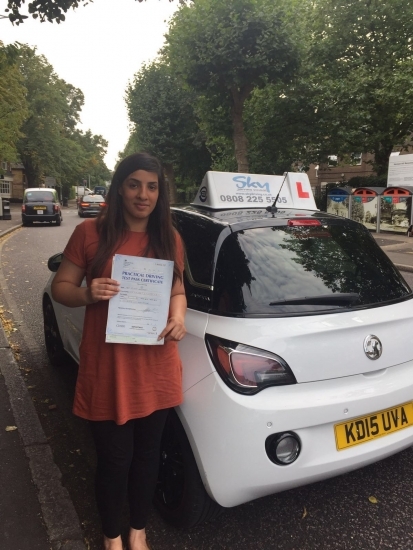 I stuck to my lessons on a regular basis and she helped me to pass my driving test within the space of a few months! I would recommend Shabnam to anyone who is hesitant she will help build confidence,anyone who is learning she is patient and polite teaches you everything and answers all your questions. Thank you for you´re patience and helping me with everything I´ve learnt, you´re an amazing instructor.